Gold prices have risen a lot since late last year. And there are many experts who recommend gold mining stocks. There are also a lot of big news about the stocks leading gold mining industry. But it seems not yet. 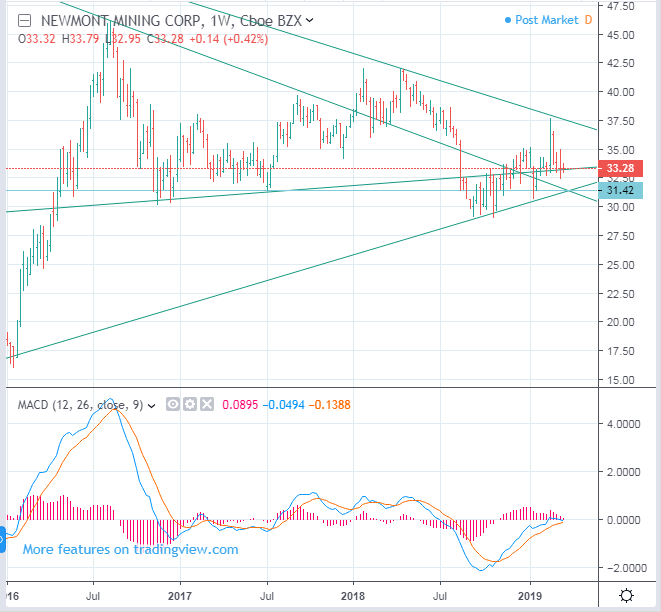 Below is the weekly graph of the Newmont Mining stock price. The key price is 31.42. Stock prices are likely to decline. Stock prices of other gold mining companies are showing similar movemnets. It would be better to wait for a safe and secure opportunity.